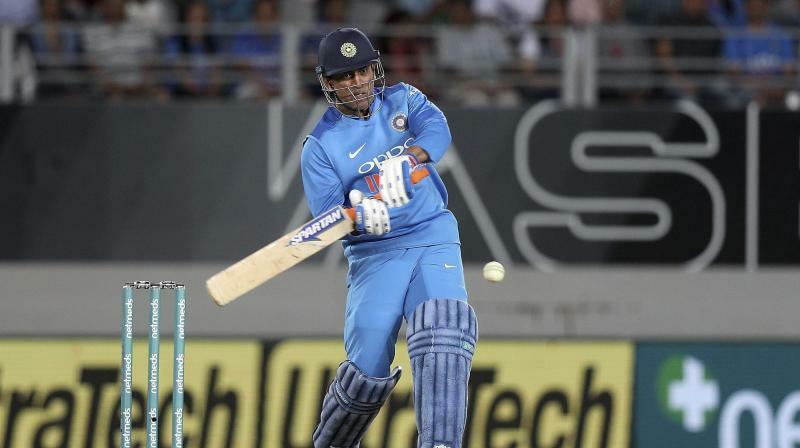 After scoring three consecutive fifties against Australa in the ODIs, Dhoni followed that up with an unbeaten 48 in the second match vs NZ. Following this, A.K. Singh, the former vice president of the DAV JVM (Jawahar Vidya Mandir) School, Shyamsli Ranchi, where Dhoni studied, was not surprised to watch Dhoni's love for the tri-colour and the presence of mind he utilized in the 3rd ODI against New Zealand at Hamilton on Sunday. "This is an important aspect of Mahi's personality and patriotism", the ex-principal, speaking exclusively over telephone from Ranchi, said. "It was brought up in an environment with excellent academics not only for fetching a job but to become a true son of Bharat Mata. He had shown high discipline, dedicated attitude to any tasks as I am witness of his journey of grooming and education at our school or our beautiful colony". "First credit should be given to his mother (Devaki Devi) as she is the first teacher". "In JVM Shyamali there are different assemblies as it is a big school. Students sing the National Anthem at a distance of 400 or 300 meters. All students stand in attention while the National Anthem is played. The students never look at the ground but sing the Anthem and visualizing the love for the country and the tri colour". "Mahi had patriotism in his soul and I am sure he is not only an youth icon but he is an ambassador of patriotism. In a match he swiftly showed the respect of 132 crores fellow countryman. His immediate refection should be an example for educating youth not only for job but most important duty towards mother Bharat Mata,” he explained. "It happened when I was the vice principal and world-class Mahi visited own school just to refresh his memory and he came without any prior intimation. Some 400 or 500 students of senior classes spotted him with Banerjee sir. They rushed for his autograph. Before the situation became uncontrollable he immediately entered in my chamber knowing no one was allowed to enter my chamber without permission". "This trick worked well and all students waited outside with a diary in hands to seek autographs, which he peacefully gave to all who were in a queue. On grounds we know fast reflexes are needed for any top class wicket-keeper and batsman". "God bless my child Mahi. Whole country is full of pride by his recent act In New Zealand", the former vice president concluded.